A compendium of Wiccan knowledge, ideal for the novice witch. 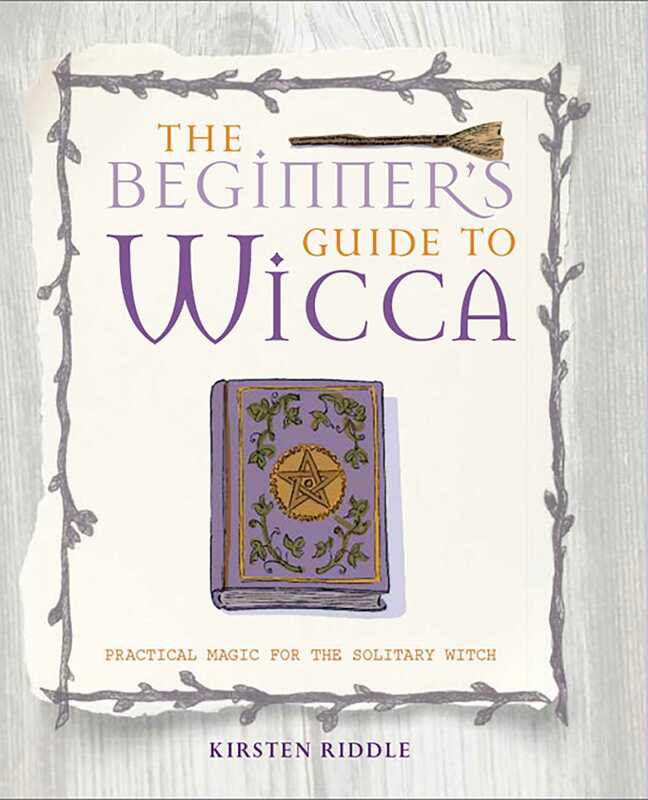 The Beginner’s Guide to Wicca is the essential companion for anyone new to the ancient practice of magic. Whether by necessity or choice, many witches start out on their spiritual journey alone. Kirsten Riddle provides the solitary witch with a friendly, straightforward introduction to witchcraft, filled with practical tips for incorporating the Wiccan way into every aspect of your daily life. Kirsten dispels common misconceptions, explains the peaceful ethos of this nature-based spiritual practice, and provides a quick and easy quiz that allows you to discover your Wiccan strengths. Chapters cover topics such as herbal, moon, and kitchen magic, and include simple spells and rituals using everyday objects and household items. Kirsten’s easy-to-follow, modern spells can be used to boost your creativity, improve your health, and revive your love life. With The Beginner’s Guide to Wicca you will discover how to tap into the powerful energy of the natural world and take your first steps on the Wiccan path. Kirsten Riddle writes a column on magic for Chat: It’s Fate, and writes regularly for Spirit and Destiny and Kindred Spirit. She is also a columnist for Take a Break: Fate and Fortune as Alison Davies. Kirsten’s books for CICO include I Am Unicorn and A Beginner’s Guide to Wicca. She lives in Nottingham, UK. Her most recent titles are I Am Dragon and I Am Unicorn.